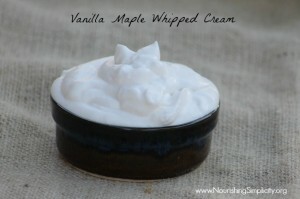 Simple, luxurious and delicious; whipped cream is almost magical. When added to a regular old treat it becomes extraordinary. That morning cup of coffee, topped with a little bit of fresh whipped cream and oh ya, bliss in a cup, I’m just saying. Whipped cream can be used to top apple pie, pumpkin pie lattes, hot cocoa, salted caramel mocha fauxccino, with fresh fruit or just about anything else. Growing up we were a Cool Whip family. One weekend my siblings and I stayed at my best friend’s house so all of our parents could go away for a few days. Her Grandma Ruby who came to watch us a brought mini berry pies. Her pies are the best you will ever have! Berry, pumpkin, you name it; they were always the amazing. Before we ate the pies Ruby did something I had never seen before, she pour cream into a bowl and started whipping it with the electric mixer. I remember standing amazing as the cream was whipped into fluffy perfection. It was so good! I never buy the store-bought kind now. My girls loved cleaning out the bowl for me when I made this batch a few days ago. 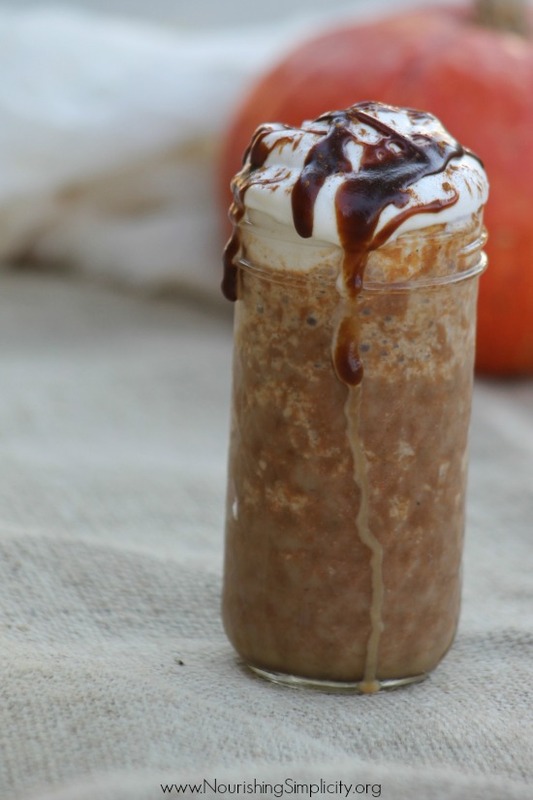 It is very easy to make and has just a hint of fall flavor from the maple syrup. You could substitute for raw honey, but we prefer the taste of the maple syrup. Add all the ingredients to a medium sized mixing bowl. Beat on high until fluffy, stiff peaks are formed. This should take about 5-7 minutes. Serve immediately or keep in a covered glass container in the refrigerator. This whipped cream is also AMAZING on pumpkin pie fauxccinos. It’s lovely isn’t it? Be sure to come back tomorrow for the recipe. So totally delicious! Thanks for the recipe!! It should be interchangeable with cool whip … back before “oil whipped toppings” such as cool whip were invented, real whipped cream was used in those recipes. Real whipped cream may spoil and/or get watery faster than cool whip, but that’s a good thing! It proves it’s not full of “crap” like preservatives, stabilizers etc … and real whipped cream freezes wonderfully too 🙂 When we were kids, mom would freeze it in spoonfuls and we thought they were quite the treat to eat frozen, or you could take out just one and in a couple of minutes it would be thawed enough to put on your dessert! Thanks for your input! I love the idea of freezing spoonfuls of it! Yum! How do you think it would replace Cool Whip in recipes? I’ve always wanted to try that and haven’t yet. Just curious if you or maybe any of your readers have. 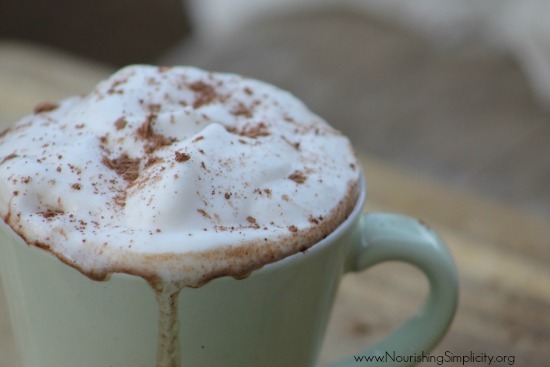 Thanks for a great post and I loved the pictures – making me think I need a hot chocolate lol. Honestly I never have but them I normally only use it for topping things. I know that other people use homemade whipped cream in fruit salads and things like that. I’ve noticed that when I use fresh raw cream that I skimmed myself it doesn’t stay “fluffy” as long as heavy whipping cream from the store. I need some hot cocoa too just thinking about it!